Shopping for flooring can be simple, fun, and affordable when you work with Montana Flooring Liquidators! We have the best selections of high-quality floor coverings in Billings, Cody & Powell at the best value prices. You can find just about any material that you want, have it delivered to your doorstep fast, and have it properly installed by our experts. Finding the styles that you love without leaving the comfort of your home is more convenient with our online catalog. You can also find what you need at one of our local stores. Either way, there will always be a customer service consultant there to answer your questions, whether in person, by phone, or online. Support is always there when you need it, and your satisfaction with our products and services is guaranteed. Don’t settle for substandard services and lower quality flooring, treat your home to the best available in your area! Hardwood: Equated with luxury and classic style, hardwood is the top choice of many homeowners because of its beauty and long-lasting quality. Many hardwood floors last for decades with proper care, and with so many unique species and stains to choose from, the design possibilities are infinite. No two floors are ever exactly alike! These floors are a great choice for homes that seek both modern and rustic designs. Tile: Pet owners, family members with allergies, and those who want simple maintenance can easily enjoy the benefits of tile flooring. It is hypoallergenic, moisture resistant, and easy to sanitize with steam or mild detergents. This material is durable and comes in many beautiful colors and patterns, and can even be used to create artistic mosaics or designs in your pool or garden. 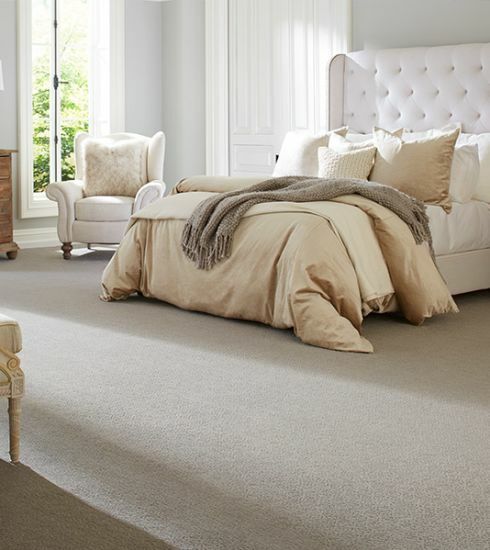 Carpet: There is no material that matches the softness and comfort of carpet. It can improve the insulation of the home and reduce energy bills and is available in a wide spectrum of gorgeous colors and textures. You can find everything from luxurious wool to modern frieze, and everything in between! This is a wonderful option for homes with families that like to sit together near the fireplace or just for homeowners who come home with tired feet after work! The right floor can completely change the way you feel about your home. From increased comfort and beauty, to easy maintenance to make life simpler, we have all of the flooring products and services that you need and love. To begin shopping for your perfect floor, simply visit Montana Flooring Liquidators and see how we have revolutionized home improvement for homeowners like you across the Billings, Cody & Powell areas. Call (406) 623-5377 today for more information.